Life doesn’t always take you to places with great cellular service. 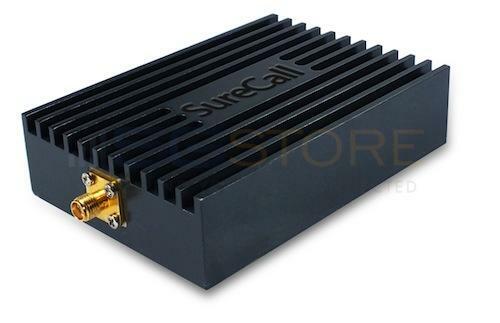 If you live, work or travel in areas with a poor data signal, the SureCall Verizon Direct Connect Amplifier can give your reception the best possible boost. Designed for devices that use the 700MHz frequency band and have an external antenna port, this Verizon 4G LTE booster will bump up a weak signal for better performance on a single Verizon device. 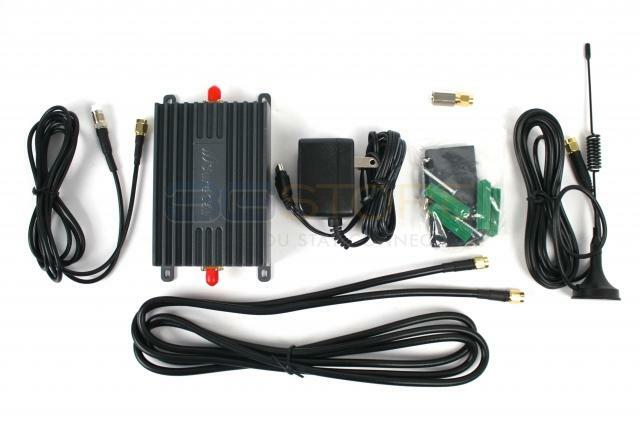 A good antenna is always essential for getting a cellular signal, but when this isn’t enough to provide adequate reception, adding a direct connect signal amplifier could be all the difference. As long as there is an existing signal of at least -94db, then a 4G amplifier for Verizon mobile broadband users can help improve signal and speeds. 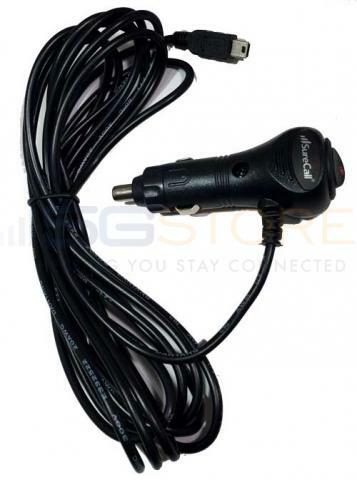 The amplifier goes inline between an antenna and your device, connecting to your device’s antenna port to give you the best signal available. If you have done a site survey and determined your existing Verizon 4G LTE data signal is too weak to be effective, but strong enough to be picked up by an amplifier, the SureCall Verizon 4G LTE Direct Connect Booster may be for you. When you order from 5Gstore, you’ll receive a year of free tech support along with industry-leading customer service from our mobile broadband experts. Instead of bringing your device to where better data signals are, we will help the signal come to you! Compatibility: Verizon 4G LTE on the 700mhz frequency only (NOT the AWS band Verizon also uses for LTE in some areas) - this amplifier will NOT work for ANY other networks (not even AT&T LTE - AT&T uses a different portion of the 700mhz frequency for their LTE network). 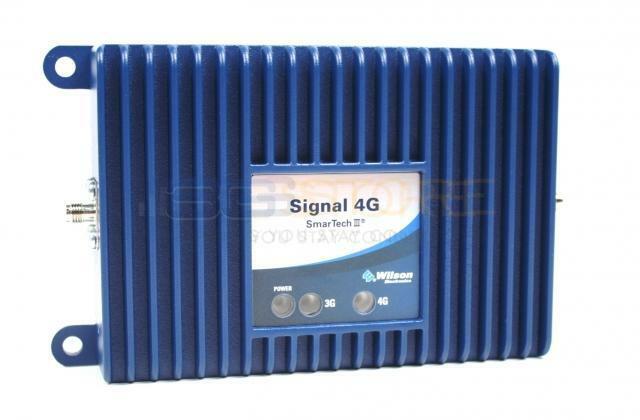 SureCall’s 4G LTE-V Cellular Signal Booster is a high-quality bidirectional signal booster that provides significantly enhanced 4G data reception for Verizon LTE. You will see the difference in the number of bars your computer displays and you’ll notice the dramatic increase in the speed of data uploads and downloads. We're sorry you had so much trouble with this, and we appreciate all the efforts you made to troubleshoot with us! We have authorized a return and we look forward to receiving the unit back so we can find out what went wrong. i purchased this unit for a customer of mine. used with a taoglas paddle on magnetic base. signal without the amp 108db. after the simple connections to a pantech mhs291l her signal was -68db. works exceptionally well for this application. The customer and I are very pleased with the performance of this amp. Thanks 3G store. +15db gain with this little unit. Tested with a small Wilson directional panel antenna also purchased from 3GSTORE. Tested with/without panel antenna. Gained an additional 15db with the panel antenna on top of the 15db from the amp, excellent compliment. Works ridiculously well and easy! Does this work better than the Wilson Sleek? I use the Wilson with a Pantech UML rubber banded into the cradle. Yes, at least for the 4G LTE network. It offers more gain, which can result in more of a boost to your device's signal. Since it only supports 4G LTE, we would not recommend using it in an area where the 4G LTE coverage is considered "extended" (per Verizon's coverage map). There must be some usable LTE signal available for this to work. What are the input power requirements? Maybe 6 VDC at 1.5 amps? The amp includes a 6V 1.5 amp power supply, however you can power the amp anywhere from 5-15V for flexibility in installation.